Apply your base coat and follow by one coat of your base color (Beige). Start by painting one neon yellow diagonal line from the outer lower corner of your nail to the center and repeat this step on every nail. 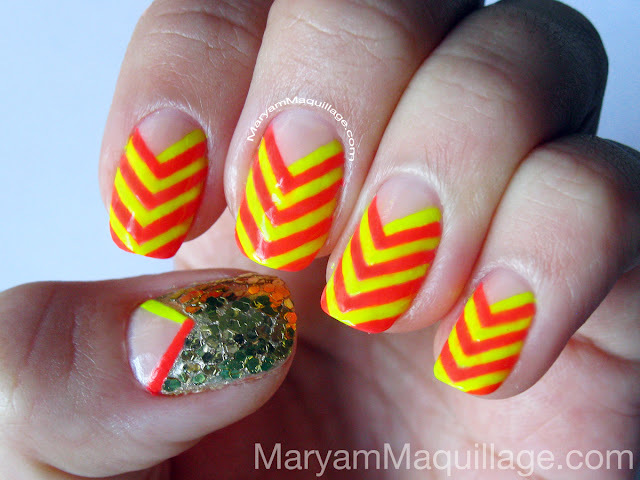 Repeat the step using the neon coral nail polish on the opposite side of the nail and paint the next line on top of the yellow, enclosing it in a chevron. 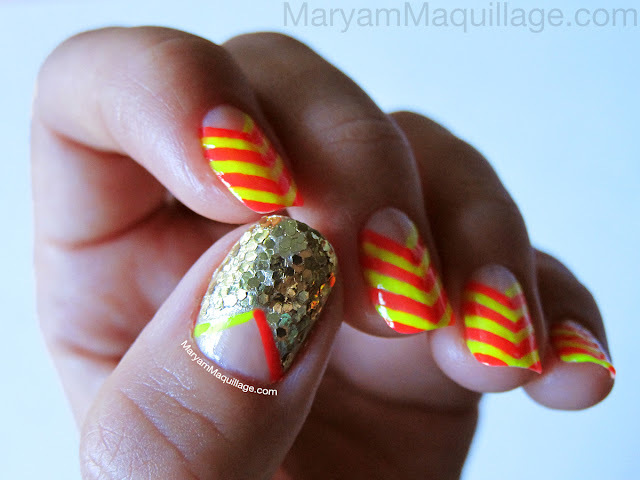 Do this on every nail, one color at a time, switching between the yellow and the coral. For the accent nail: paint the base (two sides) of the chevron with yellow and coral and cover the rest of the nail with chrome gold to serve as a base for the gold glitter. Wait for the gold to dry and top it off with one or two coats of Milani glitter polish. I'm not gonna downplay this design and say it was easy to create... it definitely took at least 30 minutes to complete (not including drying time) and required a lot of concentration and confidence. Having said that, I really love the meditative aspect of nail art and detail painting, so if you're like me, you'll definitely enjoy this relaxing process and colorful result. SO AWESOME!!! 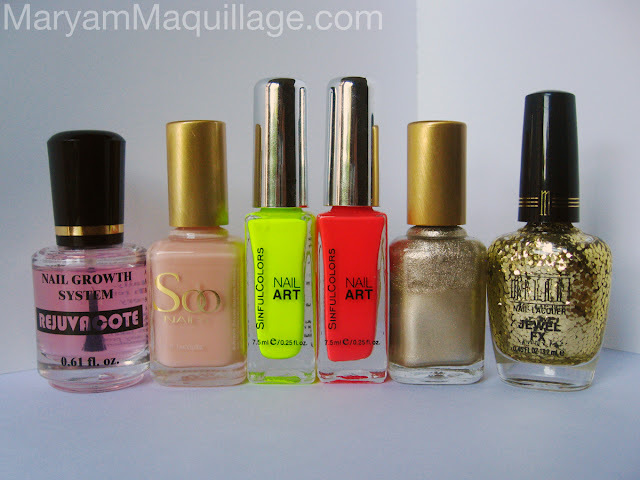 I've never seen those Sinful Colors nail art, did you get it where you usually find Sinful Colors? hey Amanda!! yeah, neither have I... I got them at Target, they were on sale for $1!! I love it! I am sooo giving this a try, those colours are outragous! I love it!!! Very fashion colors... Have a nice time. Xoxo V.V. wow! It is so bright! Love it! Thank you for the tutorial these colors are really eye catching!! J'aimerais bien que tu visite mon blog j'ai besoin de l'avis de professionnels du blog fashion :) Merci d'avance!!! merci, tu est vraiment gentille :))) bisous!! Visit my blog and if you want follow each others! thanks hon, yeah, the neon is definitely an eye catcher!! haha thanks Ram!! Will do!! That's amazing, love love LOVE yellow and orange this summer!! Very impressive design! Have a wonderful day! Thank you! LOVE!!! I am a big fan of orange and yellow for the summer!!!! 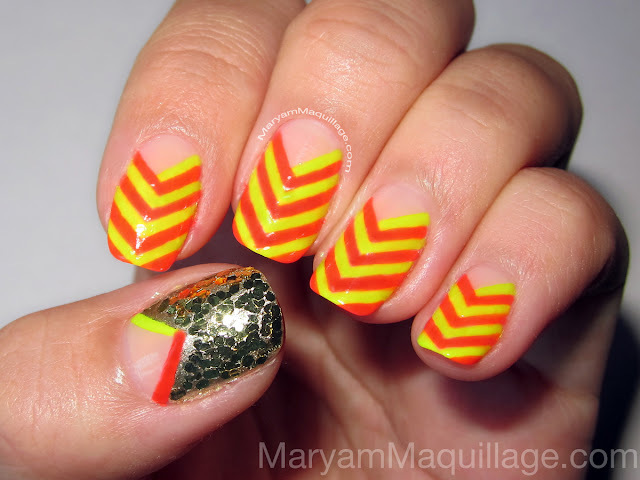 featuring the neon trend in one fun, traffic-stopping how to stop spam chevron manicure. Read more for tips, deets and how-to!